Valerie Bothell: Carole Samples...what a DREAM! 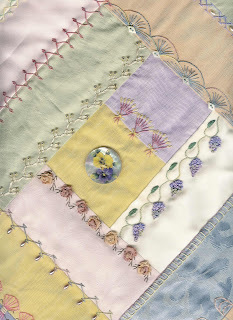 The final teacher that I am featuring for the Victorian Stitchery Retreat is Carole Samples. 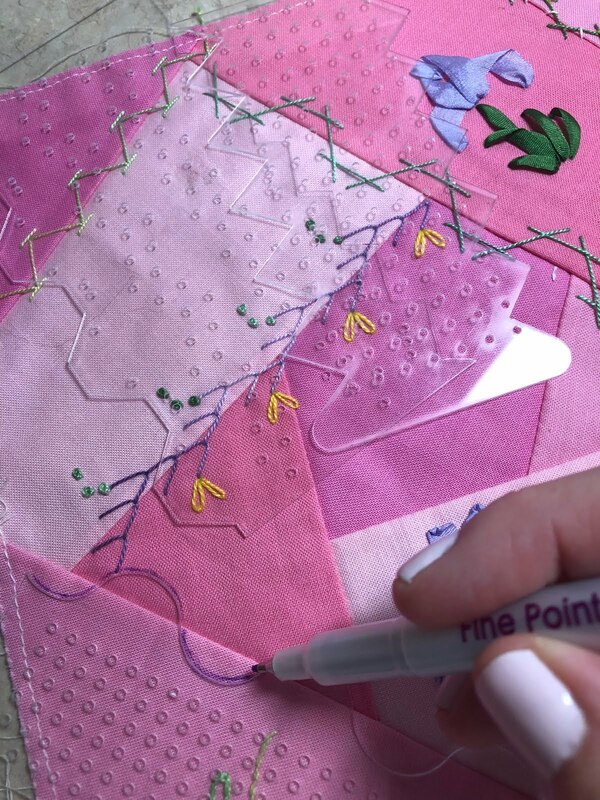 She will be teaching a class using her Dream-A-Seam templates. These templates are wonderful! Whenever I list them for sale on my website, they are gone in a flash. 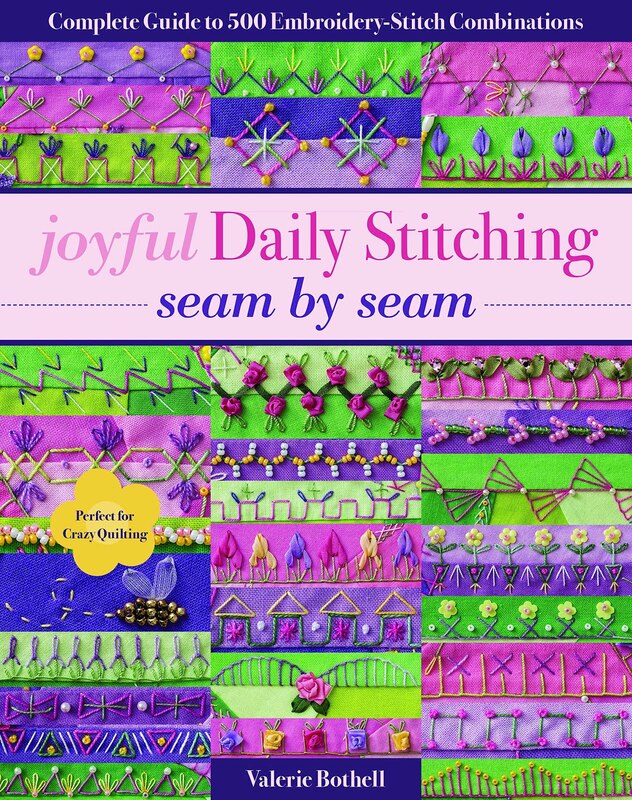 This will be a two day class where she will show you wonderful stitch ideas and uses for her templates. Pictured above is a partial picture of the block I worked on when I took this class. Carole is a wealth of crazy quilt information and I feel blessed to call her a friend. This will be her sixth year at the retreat and it just wouldn't be the same if she didn't come. She will also be giving a lecture one of the evenings. 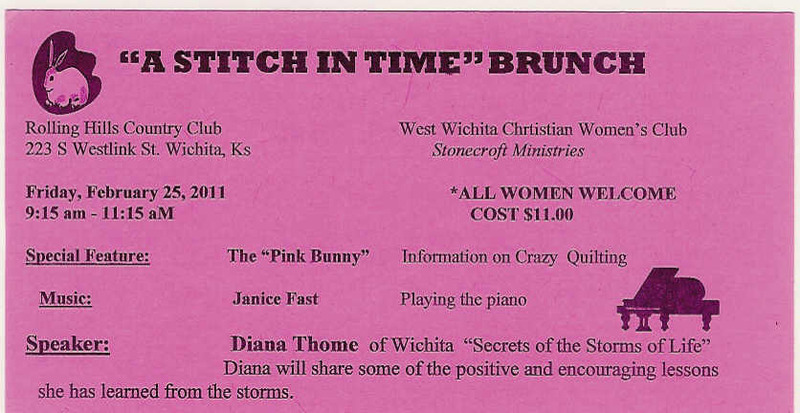 In between taking reservations for the retreat, I will be speaking tomorrow at a Christian Woman's Club. I thought it was so sweet, they put a picture of a Pink Bunny on their invitations! 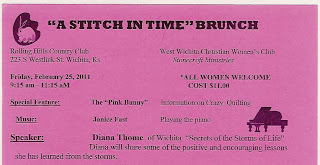 I am excited to share my love for crazy quilting with other woman! I do hope to take caroles class! I received my order today thanks. Lovely grouping. Caboshon instruction? The rest I can figure out. Do you have a favorite tip? Oh yes wish you well at the CWC speech! 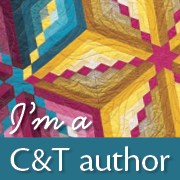 I am just getting into crazy quilting. I love the block. I hope I can come up with some neat stuff. Is Carole Samples going to be at your November 2012 Retreat? We live out of state and are interested in attending. Is Carole Samples going to attend your November 2012 retreat? We live out of state and would like to attend and talk to you. We could not get your e-mail address to work.